Rock painting is one of my favorite things to do with my son. 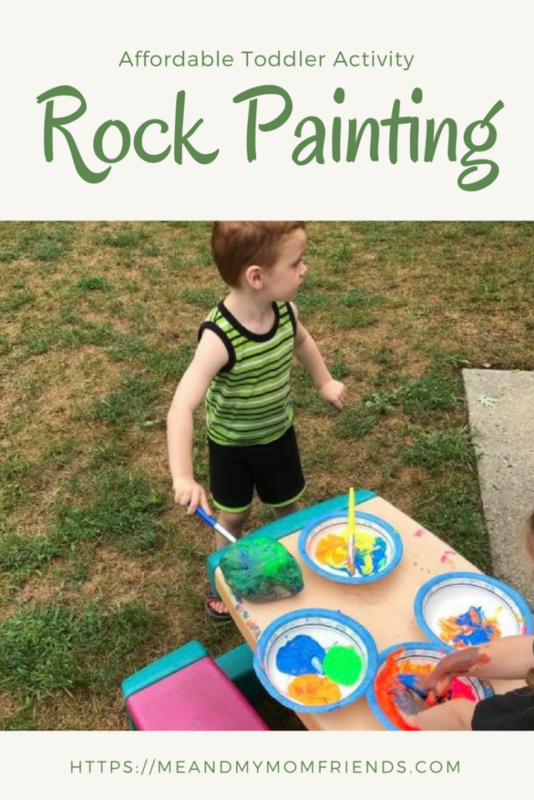 We find some rocks and paint them! Sounds simple, right? Well, it is just that simple. 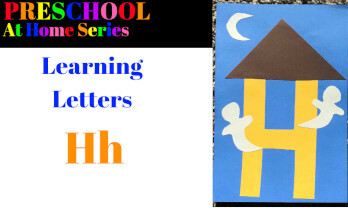 Its a great activity to encourage creativity and even sensory play. 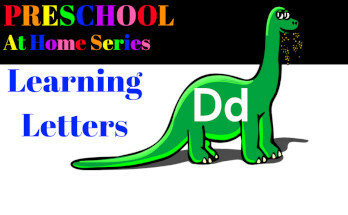 Toddlers will love it! In your own home! That is the great part about this: you can do it at home. I recommend doing this outside in the warmer months, but if you’re brave enough it can even be done indoors. Lay the table cloth down on the area where your child will be painting. We do ours outside, so I cover our patio table with it. You may want to have some tape handy to secure in case its a breezy day. Put some blobs of different colored paint on the paper plates. Fill the plastic cups with some water and put the brushed in the water. Set the rocks out to paint. If you do this outside on a warm day, the kids can wash paint off with the hose. Otherwise, I recommend keeping some baby wipes or pare towel close by. Clean up is fairly easy. You can simply dump the water from the cups and toss the disposable plates, cups, and even table cloth if needed. 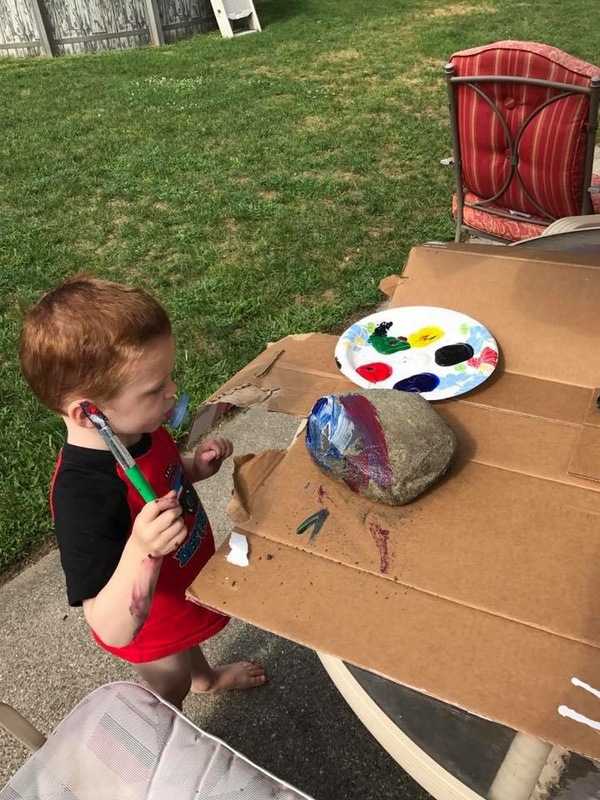 If you want the paint to last on your child’s rock, I recommend a clear coat of spray paint to seal in the color. 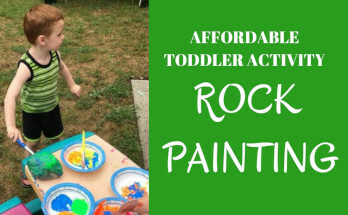 Most child friendly paints are washable, so if the rock ever gets wet, the paint will come off. The clear coat will protect it. The rocks make nice gifts for things like Mother’s Day or Father’s Day, and Grandparents will be certain to love them, too. 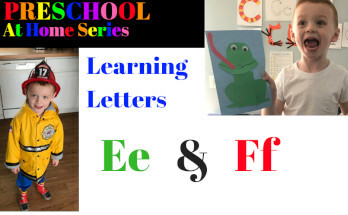 This is a fun one on one activity to do with your child or children. 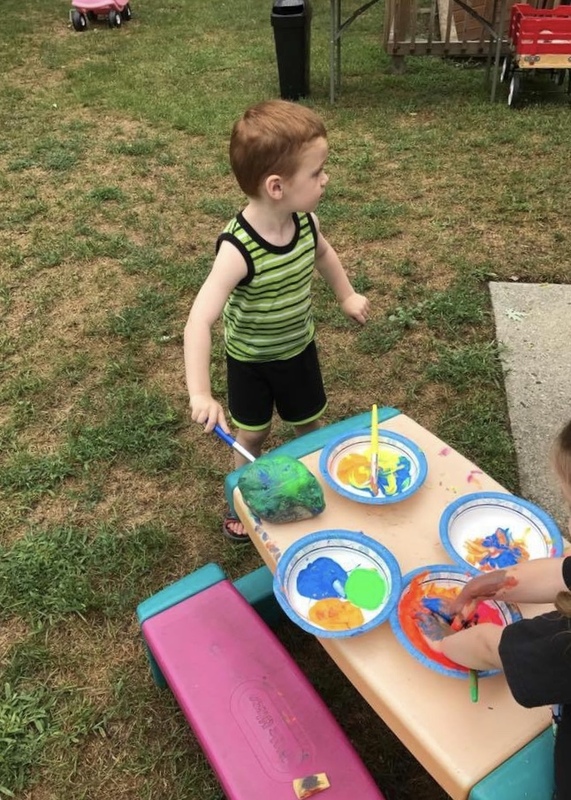 A rock painting party also makes for a fun play date with children of similar ages.